Copyright © 2019	Kate's Corner. This striking green and gold jasper set makes for a bright yet refined addition to your collection. The colour is unusual; these stones are more often a deep red. 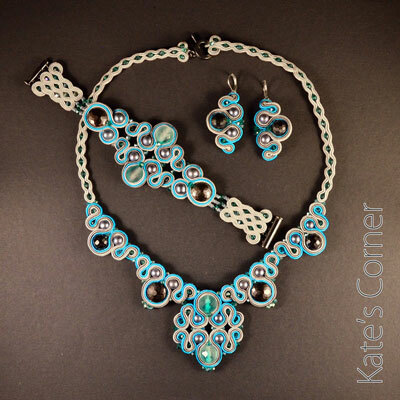 I used Czech Pega soutache cords and Czech beads to complete this piece. Fuchsia and green stay with me for longer. I embroidered two more pairs of earrings. Check my shop if you are interested. All my life I was taught that fuchsia and green simply don’t get along at all. I believed this until I saw these oval black glass beads with fuchsia and green stripes. 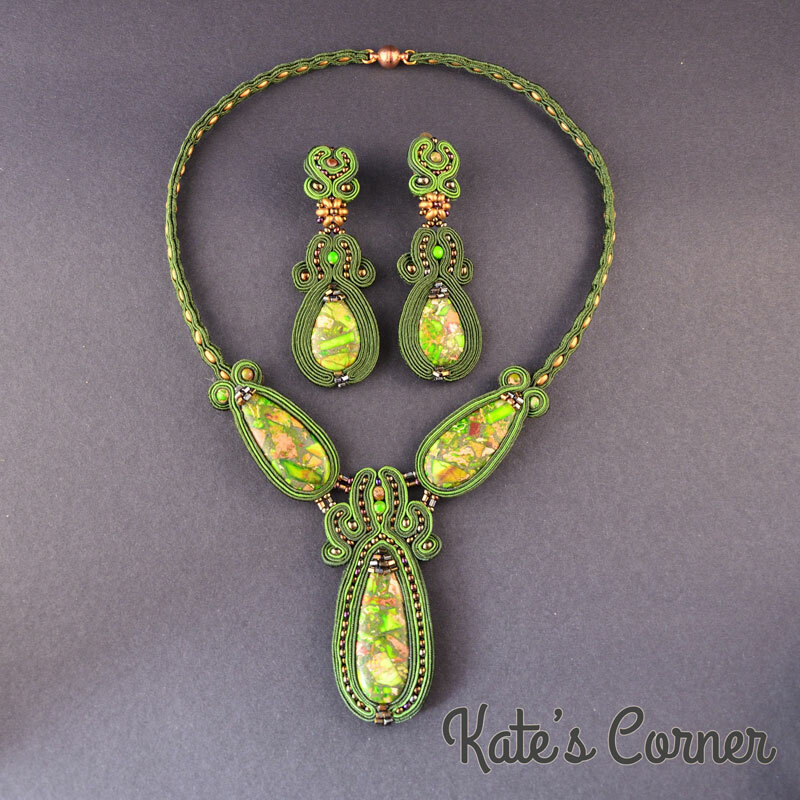 I present to you my new fuchsia & green soutache earrings! They are a burst of colour like pink flowers on a lush green meadow in the spring time. Astronomic spring has started on 20th March, one day earlier than most people think. What is great, it will stay like this until the end of the century, and from 2044 it will occasionally even start on the 19th! See the Seasons Calculator. It is time to put away warm and grey coats – time for bright and energetic colours, just like these earrings. The season for colourful madness is open! These first sunny days made me think a lot about the summer holidays, warm sea and turquoise water. Spring is coming in a few days but unfortunately I have to wait for the summer holidays until nearly end of July. 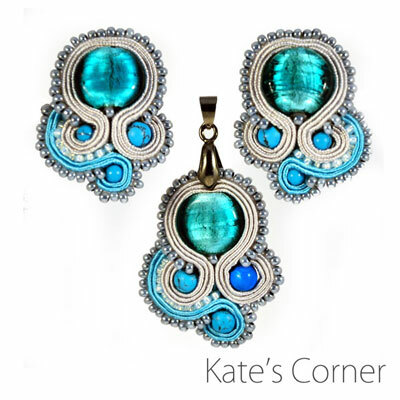 In the meantime I embroidered this turquoise soutache set. The earrings and pendant present very nicely with a spring dress but can also add a bit of elegance to a simple shirt and jeans. And one more. I think it is time to change the pattern. Copyright © 2019 Kate's Corner.